It's such a privilege that i've got nominated by this award for the 3rd time already! What's even more special about this is that Get Out Dear nominated me, my new friend in blogging! Writing's never been this fun really! I'm buying a Sony A6000/A5100 next year. I will have a CCNA examination early next year. I applied for a passport. First trip, Malaysia then neighboring Asian countries. I'm into healthy lifestyle these days, that includes controlling my diet, running and hitting the gym. I will have a tattoo, but with Whang Od Oggay only. That means, i have to travel all the way North to have that dream come true. Display the award in your blog. 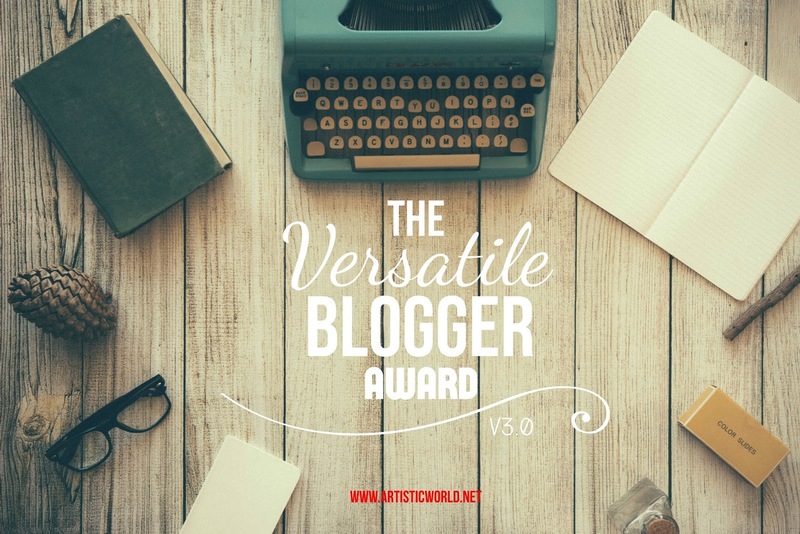 Nominate 15 blogs with their links and let them know about it. Congratulations for bagging this award and thank you for nominating me too! Congratulations Jacqueline....welcome for being a part of Versatile Blogger Award Winners. Steven, I am honored by your nomination. This is the first award that I have been nominated for since starting my Blog and I am sincerely touched that you found my writing engaging enough to be nominated. You can reach me through email Robert@ThoughtfulTalkBlog.com or if you check any of the articles on my site, all of my social media links are on them. http://www.thoughtfultalkblog.com/blog/. Thank You once again fro the nomination!! Congratulation Robert for being nominated for this award. I appreciate you nominated me too. You deserve this award. Congrats! And all the best for your CCNA exam. It's ok Dani, blogging will always be there! :) hope you had fun on your holidays! Natuwa naman ko hahaha versatile pala ako :) Thanks Steve! Good luck on your CCNA exam! Claim it! hahahha, i hope i meron akong budget! hahaha. Yes you are! Congrats Steve... wow Malaysia.. may we both have a blast this coming year ! It's awesome that you're getting your passport so you can travel. Can't wait to see the posts about it in case you plan on blogging about those trips :) Have fun using the new camera everywhere! Thanks for the nomination. I've seen this entry of yours when you posted it. I just didn't have the time to write up about it. I work a lot during the holidays. Well, i'll post one this month but i'm not sure if i can tag a lot of bloggers. The others that i know have been tagged few years ago, so am I. But it would be fun to do it again. Thanks for dropping by. And as for your most recent entry, i am preparing a bomb of a comment. hahaha! When i entered the blogosphere, my signature was leaving endless comments. My comments were even longer than my own blog posts. Anyway, when i have the time I'll share a piece of my thoughts. Ciao! Congratulations on the award and thanks for the nomination. Really honored by it. Belated happy new year! Hi Steve, I am always honored whenever you stop by my blog and give me a good news. Thank you my dear friend! I am away and just got on the internet...not sure if I will get around to answer your questions. BIG CONGRATULATIONS to you and I am very happy for you. Thank you for the nomination. #1 and #4 in your random facts sound awesome. aw thanks, see you round jeini!